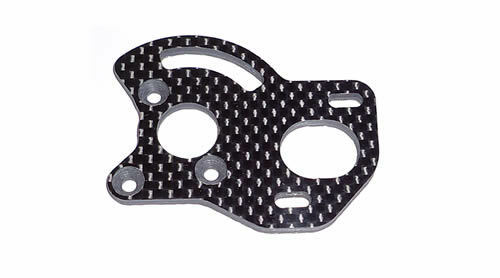 B6 3mm carbon fibre motor plate with spur guard (protects spur from rubbing). Strong and Stylish. Cut from well known Diggity Designs high quality US sourced quasi carbon fibre. Better heat dissipation than aluminum and 4 grams lighter than stock plate.